Economic growth in emerging markets may be aided by a strengthening U.S. recovery, said one Prudential executive. 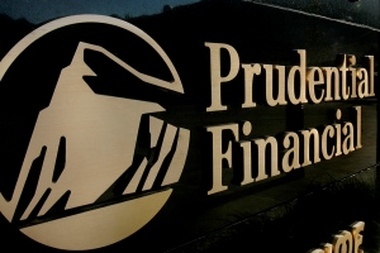 Prudential Financial Inc., the insurer that manages more than $1 trillion of investments, is set to commit more funds to emerging markets after the sector’s main index slumped and developed-country stocks rallied. The Standard & Poor’s 500 Index advanced 30 percent last year as the MSCI Emerging Markets Index lost 5 percent amid concerns that higher interest rates could derail growth. The gauge of emerging stocks trades for 11.5 times reported earnings, the cheapest relative to U.S. equities in five years. “Investing when things look rough, that’s when your opportunities for upside are greater,” Keon said at Prudential’s 2014 Global Economic and Retirement Outlook briefing. The MSCI gauge includes companies from 21 countries such as Brazil, South Africa, Turkey and China. Samsung Electronics Co., the world’s biggest maker of smartphones, and Naspers Ltd., Africa’s largest media company, are among its holdings. QMA, a unit of Newark, New Jersey-based Prudential, oversees more than $100 billion for clients such as endowments and pensions using mathematical models to invest funds. Economic growth in emerging markets may be aided by a strengthening U.S. recovery, Keon said. He projects that real gross domestic product growth in the U.S. will average 3 percent to 3.5 percent over the next several years. The Hang Seng Index of Hong Kong stocks rose less than 3 percent last year. Brazil’s Ibovespa slumped 16 percent as the central bank increased interest rates to fight inflation. In Turkey, the Borsa Istanbul National 100 Index lost 13 percent. Mexico’s benchmark slid 2.2 percent. Blackstone Group LP’s Byron Wien said yesterday in a statement that emerging-market investing “continues to prove treacherous.” Stocks will rally in South Korea and Mexico, and equities in other developing nations will lag behind, he said. John Praveen, chief investment strategist for Prudential International Investments Advisers, recommends a “modest” overweight position in emerging-market stocks, while underweighting U.S. stocks, according to a document distributed at the event. Investors should take a cautious approach to developing nations, he said.